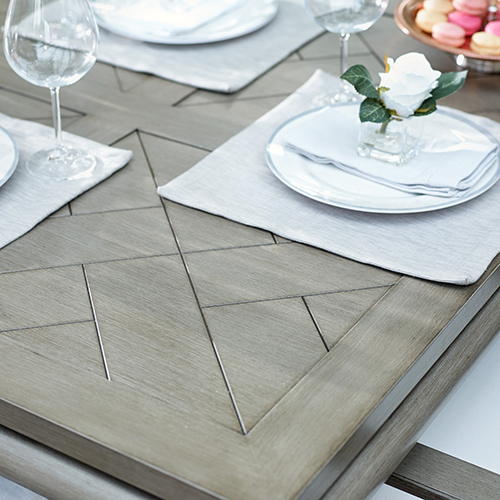 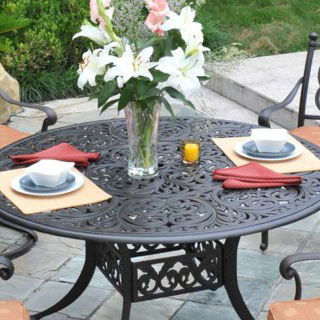 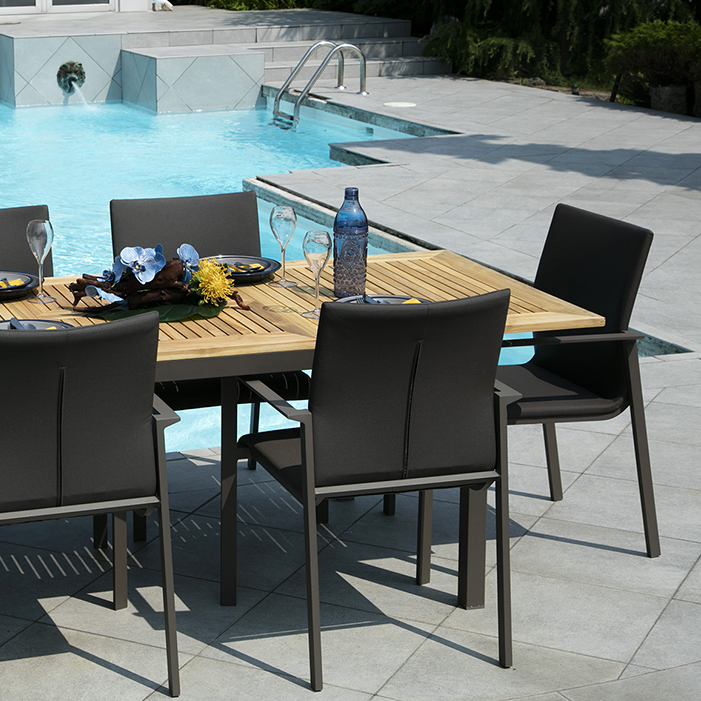 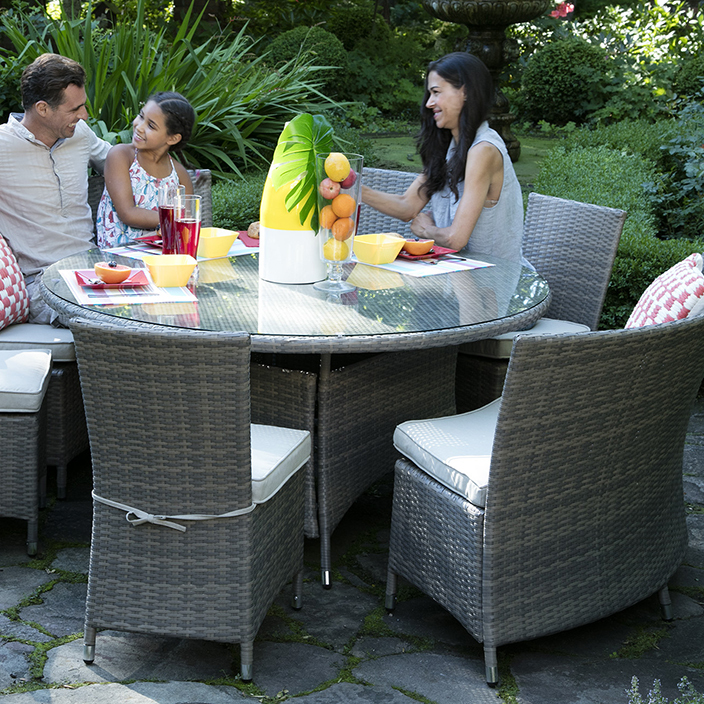 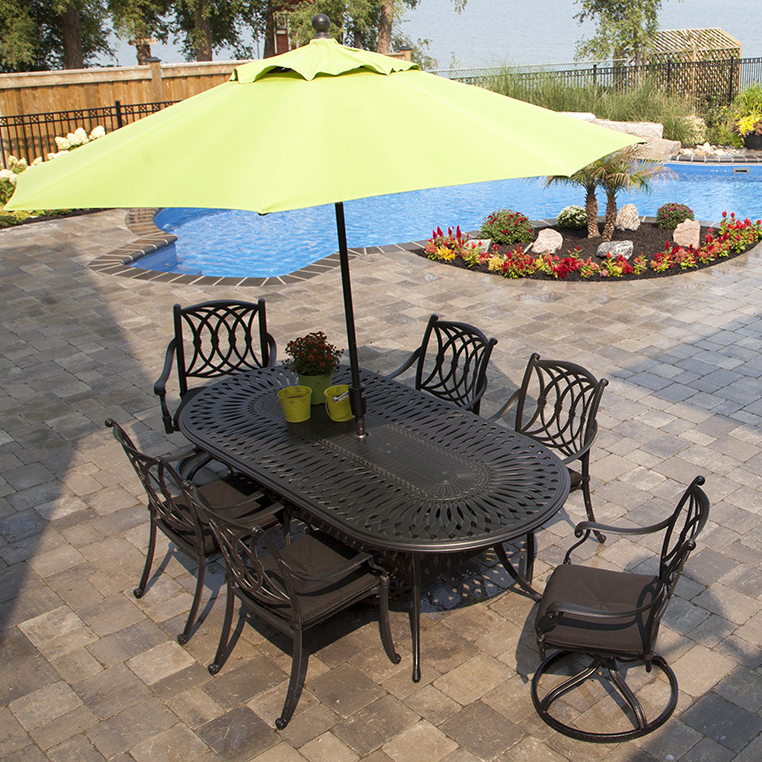 The Canyon Outdoor Dining Collection brings luxury and elegance to your backyard. 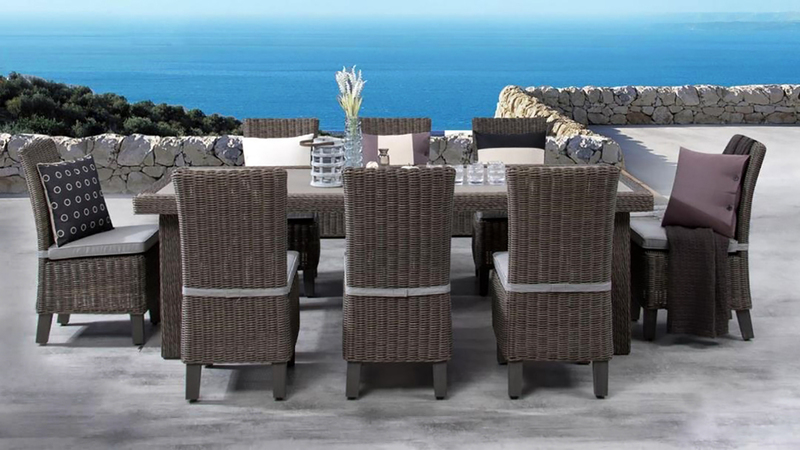 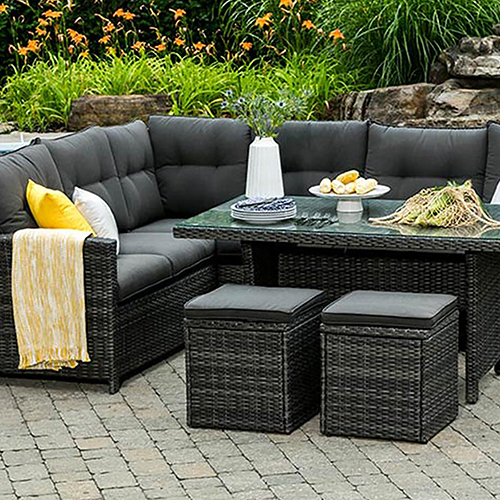 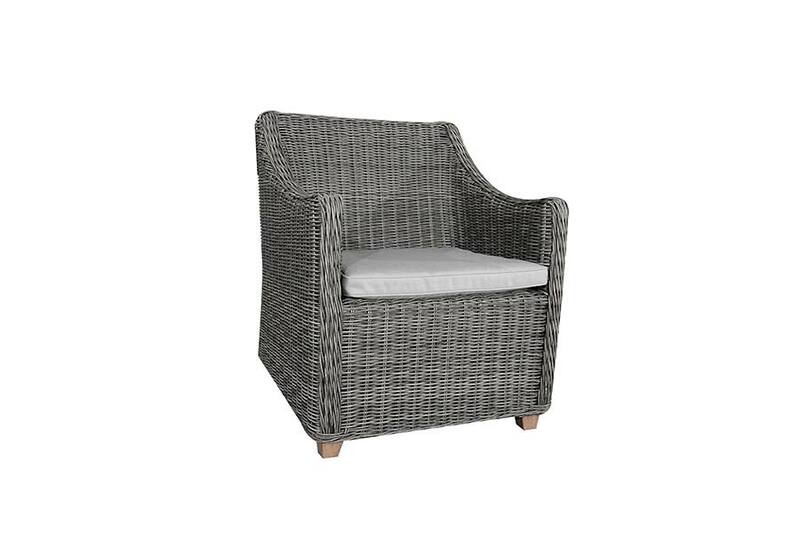 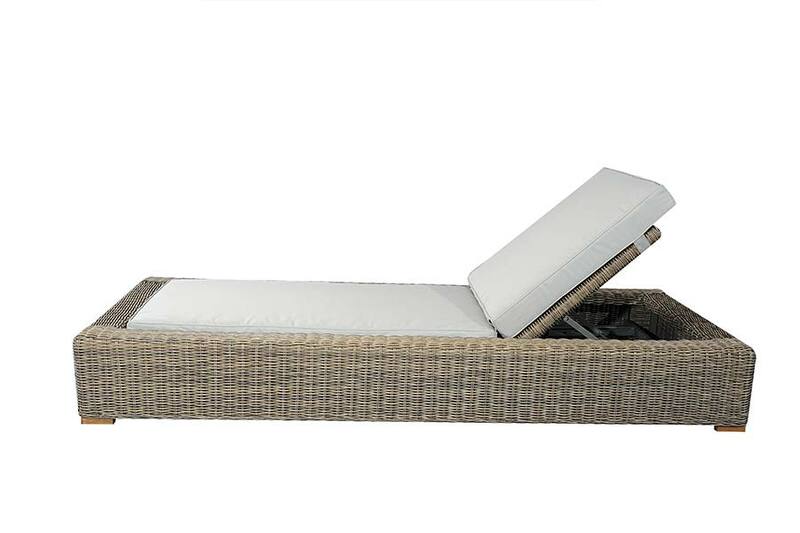 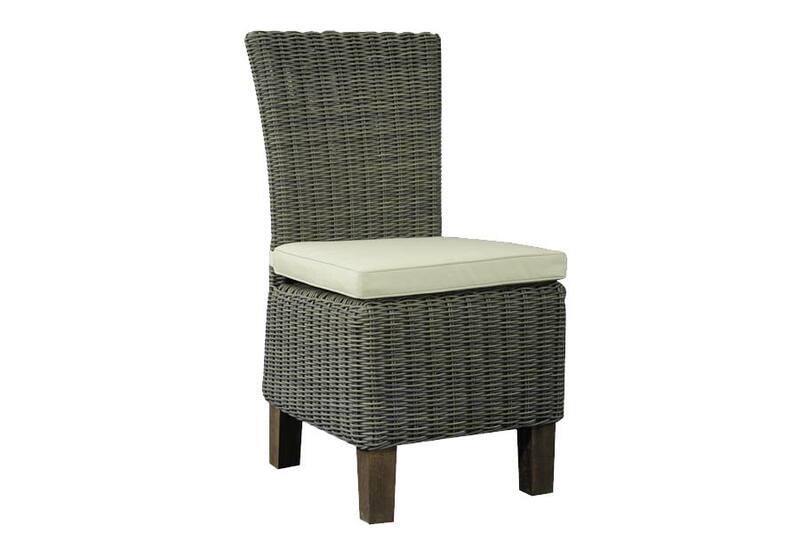 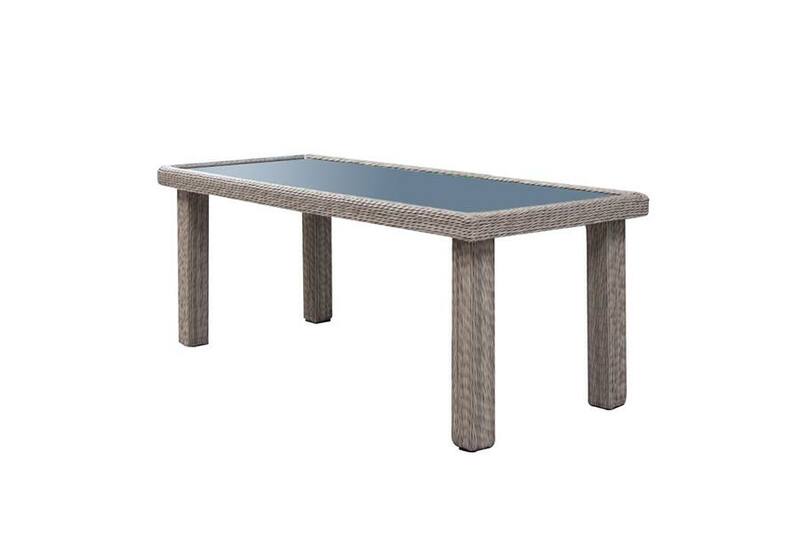 The detailed smoke grey resin wicker is tightly woven around a rust-free aluminum frame, making this set both durable and stylish. 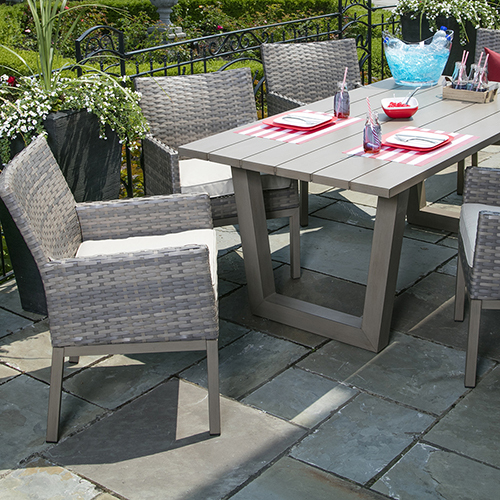 The popular smoke grey frame is the perfect size and width for ultimate comfort outdoors. 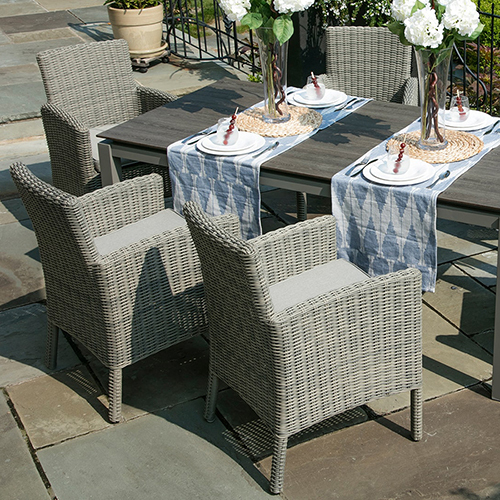 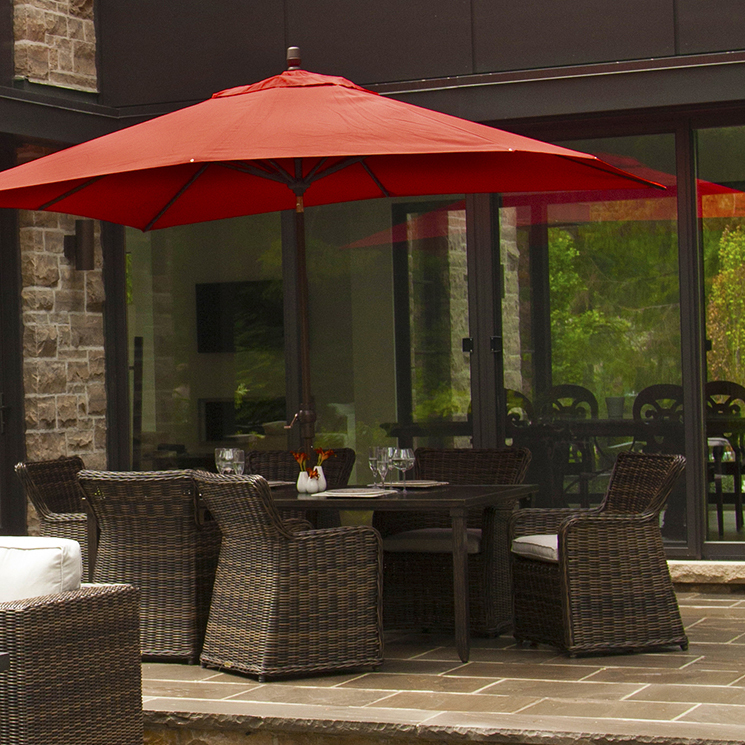 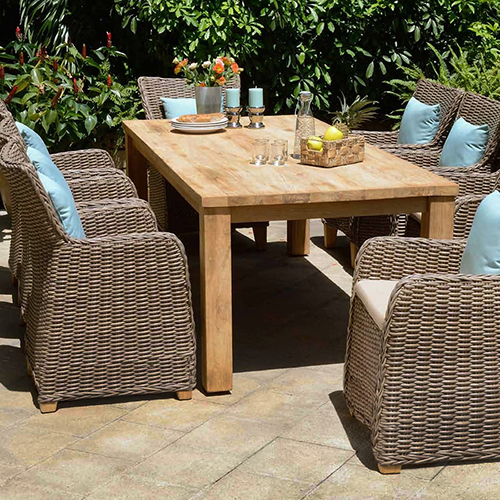 The Canyon Collection is complete with ash grey Sunbrella cushions that are low-maintenance. 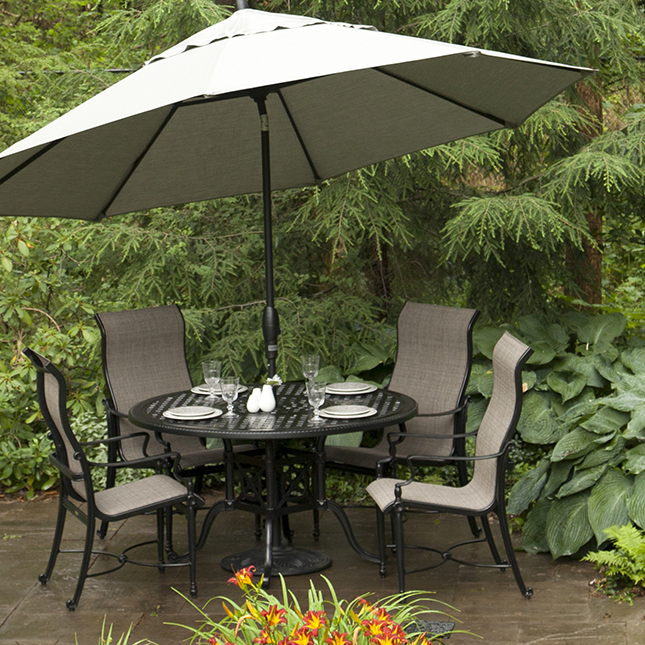 The Sunbrella cushions come with a 5 year warranty for fading and are mildew, water and UV resistant! 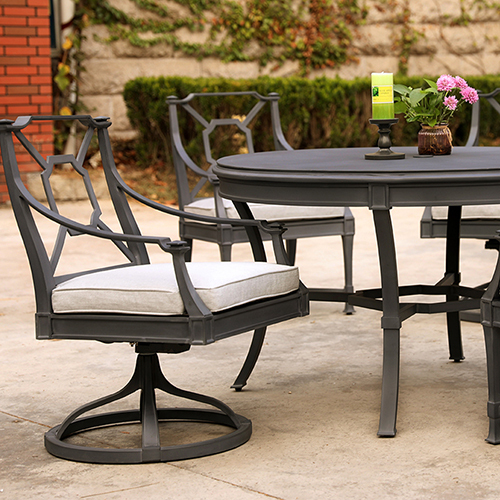 The Canyon Collection provides style, comfort and durability that you can count on.